The World Junior Championship is in full swing, and Thursday will feature four more games with two teams (Russia and Kazakhstan) making their debuts. Let’s take a look at Thursday’s slate. Denmark made a less than inspiring debut on Wednesday facing tournament favorite Canada, ending up on the receiving end of an absolute drubbing. Russia was one of the two teams not to play on Wednesday, and will enter the game fresh, making things even harder on the Danes. The Russian team, lead by captain Klim Kostin, is one of the stronger teams in the tournament, as is to be expected. 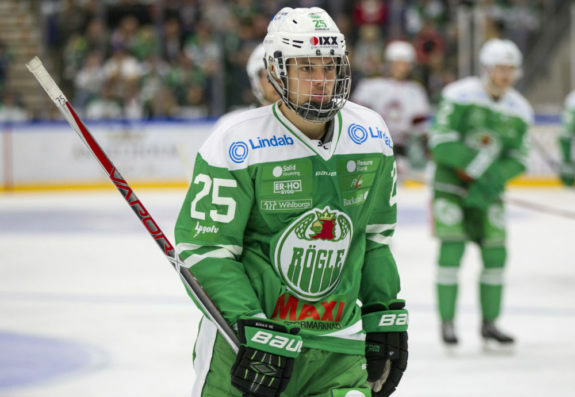 They are loaded with NHL-affiliated talent, and Denmark cannot hope to compete on skill alone. They’ll need great organization and a strong work ethic to outgun the Russians, and judging by their performance on Wednesday, that seems very unlikely. Slovakia put up a great effort against the United States on Wednesday, holding a lead into the third period before letting it slip away late. The Yankees beat them 2-1, but it has to be an encouraging performance for the Slovaks, who entered as one of the tournament’s distinct underdogs. The Swedes don’t have a superstar talent like Elias Pettersson this season, but they still have a ton of skill. Yesterday, we highlighted the team’s stout defensive core, perhaps the best in the tournament. But they have game changers up front, too, with forwards like Lucas Elvenes, a top prospect in the Vegas Golden Knights’ system. Elvenes will come up against Slovakia’s goal scorer Marek Korencik, a defender, and the rest of the plucky Slovakian team. Will Sweden’s talent win out, or will Slovakia finish out the upset they attempted against the United States? Canada was led to its two touchdown victory over Denmark on the back of Morgan Frost, a prospect in the Philadelphia Flyers’ system, and Maxime Comtois, who was drafted at number 50 in 2017 by the Anaheim Ducks. Frost had five points with a hat trick and two assists, while Comtois added four goals. Brett Leason and Cody Glass each also had four points. Congratulations to Team Canada forward Maxime Comtois on picking up the World Junior hat-trick! Switzerland couldn’t quite edge out a powerful Czech team, but they took the game to overtime, which was not expected against one of the more offensively dangerous teams in the tournament. Do the Swiss have the talent to slow down the high-powered Canadian squad? By the looks of Wednesday, maybe not, but stranger things have happened in the WJC. Kazakhstan is the other team making its debut on Thursday, and it looks like it could be headed towards a blowout. The Kazakhs are the biggest unknown in the tournament by far, but they’re expected to be the weakest team as well. They’ll go up against a Finnish squad that is headlined by potential number two draft pick Kaapo Kakko. 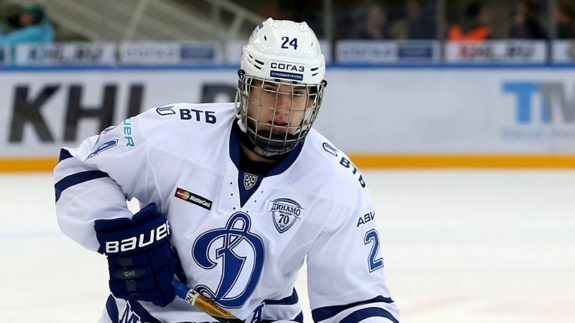 Kazakhstan does have at least one special player in defenseman Valeri Orekhov, who is one of the better young defenders in the KHL. He’s likely to be the heart and soul of the Kazakhstan team if they find any success in the tournament at all. 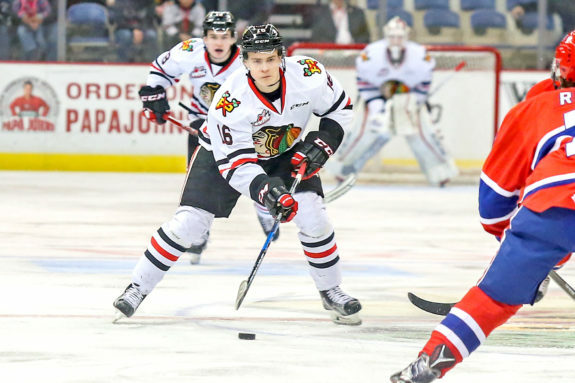 Unfortunately, he’ll be matched by a player with some NHL experience in Henri Jokiharju, whom the Blackhawks loaned to team Finland for the tournament. It’ll be good experience for Jokiharju, with the Blackhawks mired in the basement of the Central division. And perhaps Eeli Tolvanen, who has played in stints with the Predators this season, will find the groove that earns him a permanent call-up. The U.S.’s day off on Thursday is no excuse for American fans to take a day off from the tournament. There’s a day full of great hockey to watch, with many scrappy underdogs taking on some tournament favorites. Russia and Kazakhstan, who enter the tournament with very different expectations, are making their debuts in the first and final game of Thursday’s action. Canada will look to carry its momentum from a 14-0 victory through against a game Swiss team. And in the most even matchup of the day, Sweden will look to overcome a short period of rest and prove that they’re the rightful favorite against Slovakia. Be sure to check back with the Hockey Writers daily for previews and recaps of each day’s WJC action, as well as numerous other stories covering the tournament.